Film Crit Hulk Smash: WON’T YOU MEET THE MUPPETS? | Birth.Movies.Death. Film Crit Hulk Smash: WON’T YOU MEET THE MUPPETS? Film Crit Hulk understands that there is a Muppet-shaped hole in the cultural education of many people. With THE MUPPETS in theaters this weekend he invites you to meet the Muppets. "Yeah, I never really watched the Muppets, so I'm not really int-" [OFF GLARE] "Oh god, pleasedonthurtmeohgodohgod." INVOLUNTARY THREATENING-HULK-GESTURES ASIDE, IT SEEMS LIKE THERE IS THIS PROFOUND CULTURE-HOLE IN MOST OF YOU, RIGHT WHERE YOUR MUPPETS SHOULD BE. THANKFULLY, THIS IS WHAT THE NEW FILM KNOWS IT HAS TO ADDRESS ABOVE ELSE. AND IT DOESN'T ADDRESS THIS GAPING MUPPET HOLE BY "MODERNIZING" THE PROPERTY, BUT INSTEAD BY INVITING OUR MODERN WORLD TO DISCOVER WHAT THEY ARE ALL ABOUT. AND IT DOES SO JOYOUSLY. A LOT OF YOU ARE PROBABLY ALREADY ON HULK'S SIDE WITH ALL THIS, SO MAYBE THIS LITTLE ARTICLE NOT FOR YOU. BUT SOME OF YOU MAY WONDER WHAT THE BIG DEAL ABOUT A BUNCH OF STUPID FELT CHARACTERS FROM A KIDS SHOW? ISN'T THAT KIND OF LAME OF YOU HULK? AND WHY WE HAVE TO SEE FOR OURSELVES? SERIOUSLY, WHAT IS IT THAT MAKES THE MUPPETS SO SPECIAL, THAT FULL-GROWN ADULTS WILL SING THEIR PRAISES? HULK WOULD THEN TELL THE IMAGINARY PERSON WHO ASKING THOSE QUESTIONS TO STOP BEING SUCH A CYNICAL JERKFACE. BUT THEN HULK WOULD SIT THEM DOWN AND CALMLY EXPLAIN WHAT IT ALL ABOUT. HULK WOULD LET THEM KNOW THAT "IT'S TIME TO MEET THE MUPPETS." THE FIRST THING THAT YOU SHOULD KNOW IS THAT THE MUPPETS ARE NOT JUST "FOR KIDS." REFERRING TO SOMETHING AS A KIDS MOVIE THESE DAYS MEANS YOU ARE EQUATING THE PROPERTY WITH "INSIPIDNESS," BUT DON'T LET THE GENRE'S RECENT AND WHOLLY-LAZY OUTPUT THROW YOU OFF. AND NO, THE MUPPETS DO NOT FOLLOW THE DREAMWORKS METHOD OF ALTERNATING HIGH / LOW HUMOR BETWEEN FART JOKES AND THEN JOKES THAT ONLY ADULTS WILL GET. INSTEAD, THE MUPPETS HUMOR IS LARGELY AN ALL-ENCOMPASSING, QUICK-WITTED HUMOR WHAT HULK WILL CREDIT AS "PIXARIAN" ... ONLY IT IS PIXAR THAT SEEMINGLY OWES THEM A DEBT AND NOT THE OTHER WAY AROUND. AND FOR YOU PIXAR LOVERS, GUESS WHAT? THERE'S A TOY STORY SHORT BEFORE THE MOVIE. YAAAAAAAYYYYYY! WAIT, WAIT, HULK GOT IT WRONG. THE FIRST THING YOU SHOULD REALLY KNOW IS THAT THE MUPPETS ARE DAMN FUNNY. REALLY, THE HUMOR JUST STRIKES HULK IN THAT PERFECT RANGE OF SILLY, SMART, AND ALTOGETHER CONTAGIOUS. THERE'S OFTEN A FARCICAL LEVEL TO IT, OR THE HEIGHTENED STAKES OF THEIR NOW FAMOUS "BACKSTAGE ANTICS." THE JOKES THEMSELVES ARE RAPID FIRE AND OFTEN CHARACTER-BASED, THOUGH SO OFTEN THEY ARE COMPLETELY UNAFRAID TO DO GAGS. YOU REMEMBER GAGS, RIGHT? THOSE EXTREME MOVIE CONVENTIONS THAT FLOAT BETWEEN PRATFALLS, VISUAL PUNS, AND EVEN A KIND BRECHTIAN META AWARENESS OF MOVIE CONVENTIONS? YEAH, GAGS ARE GREAT. WE PHASED THEM OUT AS PART OF AN OLD SCHOOL "NO, WE CAN'T SUSPEND REALITY FOR A BIT OF NONSENSE! NOT EVER!" WHICH A SHAME REALLY. THE POINT IS RELATIVELY SIMPLE, THESE MOVIES ARE SUPER FUNNY. NO. WAIT. THE FIRST THING YOU SHOULD KNOW ABOUT THE MUPPETS IS THAT EVEN IF IT'S HILARIOUS THEY OFTEN KNOW HOW TO BLEND THAT HILARITY WITH SOME SERIOUS AND POIGNANT GRAVITAS CONCERNING FRIENDSHIP, FAILURE, SUCCESS, AND EVEN THE VERY EXISTENTIAL REASONS OF WHY WE GET OUT OF BED EVERY MORNING. IT'S BEAUTIFUL. NO. WAIT. THAT'S A LITTLE HEAVY. THE FIRST THING TO KNOW ABOUT THE MUPPETS IS HOW THE MUPPET WORLD WORKS... ACTUALLY IT ISN'T ALL THAT CLEAR, BUT BASICALLY THERE ARE THESE LITTLE FELT CREATURES RUNNING AROUND AND THEY ARE REAL AND GET TREATED AS PART OF THE WORLD. PEOPLE NOWADAYS WILL CALL ANY OF THE FELT CREATURES A "MUPPET" BUT REALLY THE MUPPETS ARE THE ONES WHO ARE PART OF "THE MUPPET SHOW" A BEHIND-THE-SCENES-ESQUE TV SHOW ABOUT A QUASI-VAUDEVILLIAN VARIETY SHOW THAT RAN FROM 1976-1981. DURING AND AFTER THAT RUN THEY HAD A SERIES OF MOVIES INVOLVING THE UNFORGETTABLE THE MUPPET MOVIE (FEATURING THE BEST JAMES COBURN COMEDIC PERFORMANCE EVER... WHICH ISN'T THAT HARD REALLY), THE GREAT MUPPET CAPER (FEATURING THE THIRD SEXIEST DIANA RIGG PERFORMANCE AND THE FUNNIEST SAM THE EAGLE MOMENT EVER), AND THE MUPPETS TAKE MANHATTAN (WHICH FEATURES THE SADDEST AMNESIA PLOT LINE IN THE HISTORY OF CINEMA)... AND WELL, THE LATER MOVIES HAVE THEIR MOMENTS . NO, THAT'S JUST DUMBLY INFORMATIVE. OKAY THE REAL FIRST THING YOU SHOULD KNOW ABOUT THE MUPPETS IS THEY WERE CREATED BY THE MOST AWESOME PERSON IN THE WORLD AND HIS NAME IS JIM HENSON. HE... WAIT. NO, WAIT YOU SHOULD KNOW THERE IS A MUPPET CALLED JANICE AND IT LOOKS EXACTLY LIKE GWENYTH PALTROW. NO, WAIT THE MOST IMPORTANT THING IS THERE IS A CRAZY MUPPET NAMED ANIMAL WHO DRUMS OUTTA-CONTROL-CRAZY AND IS THEREFORE RESPONSIBLE FOR ONE OF HULK'S FAVORITE YOUTUBE CLIPS EVER. HULK COULD EASILY LET THIS ARTICLE DEGENERATE INTO A LIST OF THE 101 AWESOME THINGS ABOUT THE MUPPETS. THERE SO MANY THINGS THAT HULK COULD SAY ABOUT THEM AND WHY HULK LOVE THEM AND IT MIGHT NOT MATTER TO YOU WHATSOEVER. YOU WILL EITHER LIKE THEM OR YOU WON'T AND YOU PROBABLY HAVE YOUR REASONS WHY. WHILE IT MAY SEEM LIKE HULK AVOIDING THE WHOLE CONVERSATION ABOUT NOSTALGIA, AND HOW HULK'S LIFELONG LOVE OF THE MUPPETS MAY MAKE HULK'S VIEW SUBJECTIVE, HULK NOT SO SURE. OF COURSE THERE IS WAY WE INTERNALIZE CERTAIN PROPERTIES AS CHILDREN, BUT THE TRUTH THAT HULK THINK THE MUPPETS THE EXACT KIND OF THING THAT CAN TRANSCEND NOSTALGIA. IN PART BECAUSE THE NEW MOVIE ADDRESSES THE PHENOMENON SO CLEARLY AND ALSO BECAUSE THERE IS A KIND OF TIMELESS-HIJINKS-ISM THAT GOES BEYOND EVERY BIT OF DATED CADENCE. 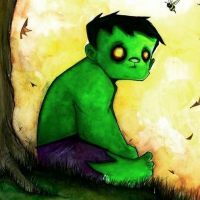 HULK ARGUE IT'S OKAY TO BE NOSTALGIC WHEN YOU UNDERSTAND SO PRECISELY WHAT THAT NOSTALGIA BRINGS TO YOUR LIFE AND HOW IT AFFECTS YOU FROM MOVING FORWARD. IN THAT RESPECT, THE NEW MUPPETS MOVIE IS STARTLINGLY AWARE OF BOTH THEIR LEGACY AND THEIR RELEVANCE. SO AS MUCH AS HULK WOULD LOVE IF EVERY ONE WENT OUT AND RENTED THE FIRST SEASON OF THE MUPPET SHOW AS THEIR PERFECT INTRODUCTION TO THE SERIES (AND IT IS PERFECT), THERE IS A KIND OF FRUITFUL PRACTICALITY TO JUST SEEING THE NEW MOVIE THIS WEEKEND. BECAUSE IT ENDS UP SERVING AS A REMARKABLE INTRODUCTION EVEN IF IT'S COMING FROM A PERSPECTIVE OF MOSTLY LOOKING BACK. AND FROM THERE, MAYBE YOU CAN DISCOVER YOUR LOVE OF THE MUPPETS JUST LIKE SO MANY BEFORE YOU (AND HOPEFULLY AFTER). HULK ARGUE THERE ARE FEW THINGS MORE WORTH IT. THIS ISN'T A DEMAND, OR AN INSISTENCE, OR EVEN A PRODDING. SO WON'T YOU PLEASE MEET THE MUPPETS?